An excellent education is the best gift we can give our girls today. At Ivanhoe Girls' Grammar School, we provide the ideal learning environment to give each of our girls the knowledge, skills and confidence to strive towards achieving her personal goals and contribute to the wider community. With 1000 students from the Early Learning Centre to Year 12, Ivanhoe Girls' provides the perfect balance of individual attention and breadth of choice within the formal curriculum and a wide range of co-curricular opportunities. Girls flourish when they are able to learn using their preferred collaborative learning styles, and where they are encouraged to develop and apply a broad range of thinking and learning skills and strategies. Our students develop a lifelong love of learning in an environment that encourages respect for the individual, together with understanding of others. Find out how Ivanhoe Girls' can benefit your daughter by requesting a prospectus or registering for a school tour by contacting admissions at admissions@ivanhoegirls.vic.edu.au. Looking back on the last five years at Ivanhoe Girls', the impact the School has had in shaping us into empowered individuals is clear to see. In the amazingly supportive environment that is Ivanhoe Girls’, we have been encouraged to speak up and to step out of our comfort zones. Not only are there unbreakable bonds between the girls of the School, but the rapport between the students and teachers creates a welcoming atmosphere. This permits students to develop fully and thrive in a nurturing environment. 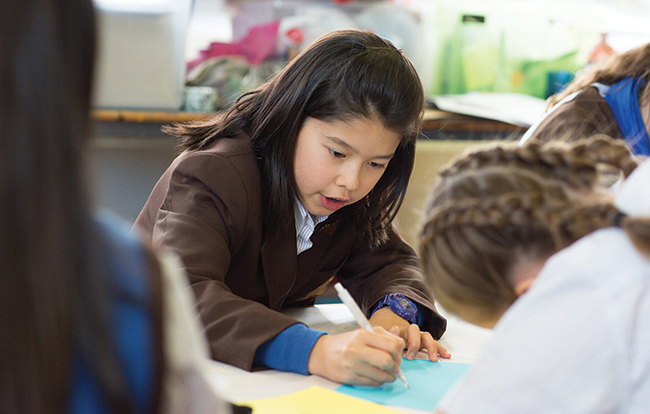 Students with different interests and passions can find a place to call home at Ivanhoe Girls'. Through the plethora of co-curricular activities the School offers, including mMusic, dDrama and sSport, students are able to make friends with students from all year levels. Ivanhoe Girls’ allows every student to find something that interests them and feel completely comfortable at the School, while creating unforgettable memories along the way.